etween each bony vertebral body is a disc that acts as a shock absorber and a hinge. As we age, the disc becomes dehydrated, making it less supportive and more prone to injury. Even a healthy, well-hydrated disc can be injured. The disc is composed of the annulus, which is a tough tissue that makes up the outside of the disc. The nucleus pulposus is the jelly-like substance contained in the center of the disc. A herniated disc occurs when the nucleus breaks through the outer tissue. This condition is very common and may or may not cause symptoms. Stretching or tearing of the annulus may result in back or neck pain. The discs are immediately in front of the spinal cord and exiting nerves so when the herniated disc or protrusion compresses the spinal cord or nerves, leg or arm pain and numbness or weakness may occur. Almost everyone’s discs dehydrate and degenerate with age. In many people, degeneration is not painful. Sometimes the process is painful. 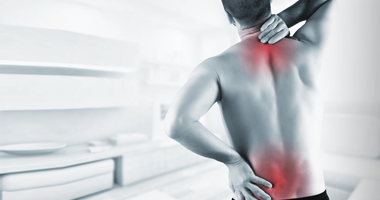 Acute disc pain may also occur after a tear or injury to the disc tissue. physical examination is performed. A neurological examination is also performed to identify the involved nerve root. Because certain nerves consistently supply particular muscles and areas of sensation, physical examination and the patient’s specific symptoms give valuable clues to the source of the symptoms. The preferred imaging test is an MRI because it is able to visualize soft tissues including the disc, spinal fluid and neural elements. on-surgical treatment options for a herniated disc include bed rest, non-steroidal anti-inflammatory medications, light physical activity such as walking and patient education. Physical therapy and/or chiropractic care may be initiated. Use of epidural steroid injections may also be considered if pain persists. Indications for surgery include failure of pain to improve with non-surgical treatment and the correlation between clinical symptoms and imaging findings. 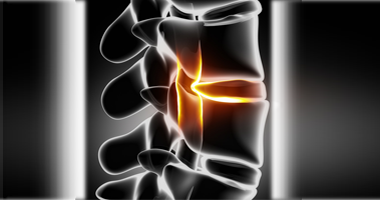 Lumbar discectomy is the most common surgical treatment for a herniated disc. It is important to discuss treatment options with your doctor in deciding which treatment, if any, may be best for you. The most frequent symptom of a herniated disc in the lower back is pain radiating from this region into one or both of the legs. Similarly, in the cervical spine, pain radiates into the arms. The disc has a tough outer layer (annulus) surrounding a jelly-like substance in the center (nucleus). A herniated disc occurs when the nucleus breaks through the outer tissue layer. The discs are in front of the spinal cord and exiting nerves, and the herniated material may compress the nerves. 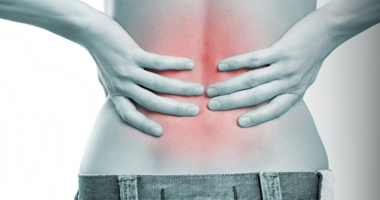 Treatment for a herniated disc begins with non-steroidal anti-inflammatory medications and patient education. Physical therapy and/or chiropractic care may be initiated, and epidural steroid injections may be considered. If these fail to provide acceptable relief, surgery may be considered.